Creative writing students of Kurt Vonnegut were told: "Give the reader at least one character he or she can root for." He insisted that a story needs at least one character with enough redeeming qualities to engage the reader. 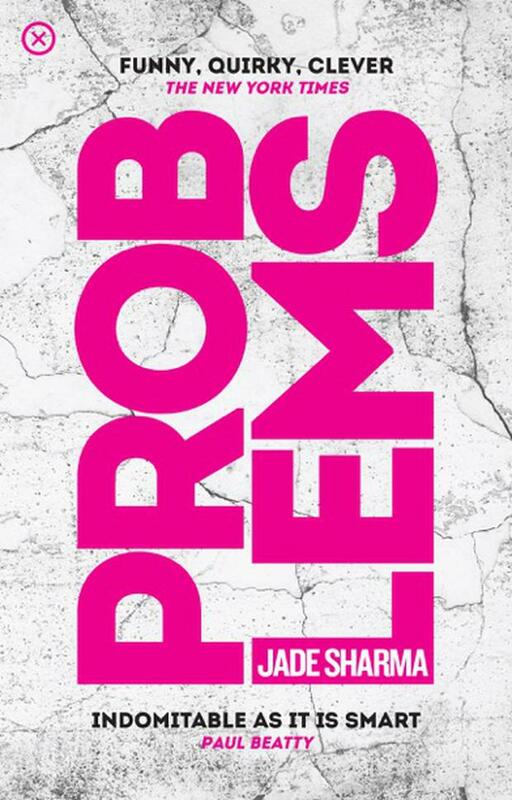 It seems nobody told Jade Sharma that because it's difficult to like Maya, her protagonist in Problems, just as it's difficult to like any prickly addict with an escalating heroin habit. Maya's hatred of virtually everyone is closely matched by her self-hatred. The harm she causes her gormless husband is on a par with her self-harming habit. Her tiny circle of friends are addicts like Maya - hope-free comrades all sinking on the same hole-punched rickety raft. Her eating disorder doesn't help. When her rather elderly college tutor with whom she's been having an affair of sorts dumps her, Maya is entirely demolished. Our anti-heroine is privileged, living in a New York apartment bought with money from her father who died of a heart attack. "I didn't know he had a heart," she muses. She's got vague notions of finishing her PhD while working part-time in a bookshop, but suffering with every emotional quirk and foible known to the self-help industry, Maya can't see her good fortune. She can only view her life through the cracked prism of the next heroin fix, the next Xanax or the last one. Maya's saving grace, however - that which persuades the reader to "root for" her - is her brilliant, dark, subversive wit. Describing her apartment block's courtyard, she says: "The broker told me they used to have real fish in the fountain, but then people in the building started abusing them, and they had to get rid of the fish… What I had to consider every time I passed that fountain, was that this was a building filled with people who would abuse fish if given the chance." Spending time with her husband's family while secretly going cold turkey should not be as funny as it reads. A passage describing her tortured choice of which end of herself to place on the loo is just riotous. Later during dinner, Maya's father-in-law reminds her not to forget about the onions. "'Did you make them?' I asked. 'I grew 'em,' he smiled. I couldn't tell if he was being serious. "'Wow, that's, um, I didn't know you could do that', I said, meaning growing food when the ground was so cold, but it sounded like I didn't know anyone could grow anything." Sharma has a lot to say - most of it unflattering - about New York, about being a "brown girl" where the real objects of desire are the white girls. She writes with vigour about drugs, about the vortex of addiction, about prostitution, about being lost in one's own sorry life. Problems is a like a middle-class echo of Trainspotting, transplanted to New York City. While not wishing to spoil, Maya does have a minor epiphany, though without any lightbulb moment, who'd believe her? Jade Sharma's great gift is in how she makes the reader addicted to the addict. Love Maya or hate her, you are absolutely compelled to follow her. Right to the very last page. Job done.